HONG KONG (Reuters) - Ant Financial's rapid climb to become the world's biggest super unicorn valued by some investors at around $150 billion showcases investor enthusiasm for the biggest Chinese tech companies and also how quickly valuations can shift. Just two months ago, bankers and investors were tentatively talking of a figure closer to $100 billion. WHAT IS ANT FINANCIAL, EXACTLY? Ant's biggest and best-known business is Alipay, the biggest player in China's $17 trillion online payments market. Ant also sells wealth management products and offers small loans and credit scores, among other ventures. Jack Ma, founder of Chinese e-commerce giant Alibaba Group Holding (BABA.N) controls Ant. Analysts at Barclays estimate that online payments accounted for 55 per cent of Ant's $8.9 billion revenue last year, but they expect that to fall to one-third by 2021 as the company focuses on encouraging its 600 million customers to use more of its other, higher-margin services. WHY THE BIG JUMP IN VALUATION? 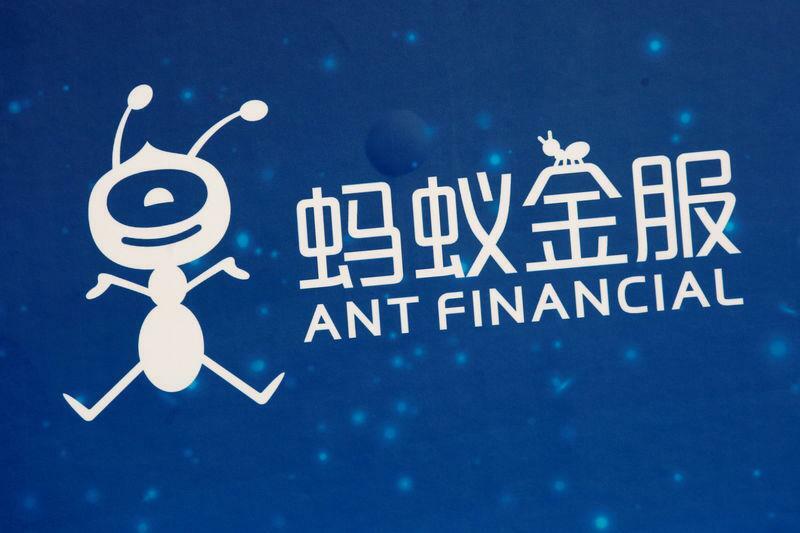 At a valuation of around $150 billion, Ant will trail only the big four state-controlled banks and insurer Ping An among financial-focused firms in China. It will also be about 50 percent more valuable than Wall Street titans Goldman Sachs (GS.N) and Morgan Stanley (MS.N). Much of the rapid rise in its valuation is being attributed to the company's disclosure of additional performance data, which although by no means its full financials, included some 2017 full-year figures that showed faster-than-expected growth. That helped investors and analysts tweak their financial models. Ant's status as one of the biggest tech groups in China is also boosting demand. "It’s not very often to get a chance to invest in super unicorns like Ant, even in China where you’ve seen a tech boom for years,” said one existing investor in Ant. "If you miss this one, you don’t know when the next one comes." HOW ARE PEOPLE GETTING TO $150 BILLION? Robert Kapito, co-founder of U.S. asset manager BlackRock, this week described himself as "shocked" at Ant's likely valuation but many analysts are not blinking. Barclays analysts this month valued the company at $155 billion, based on multiplying their estimate of Ant's 2019 net operating profit less adjusted tax (NOPLAT) by what they said was its conservative price/earnings ratio of 28. NOPLAT is often used by analysts to measure companies' operating efficiency because it strips out the impact of interest payments and other financing costs. Other groups have used alternative means of valuing Ant. Jefferies analysts, who believe up to 70 per cent of Ant's 2017 business came from online payments, used Paypal (PYPL.O) as a comparison and valued Ant at $133 billion, equivalent to seven times their estimate for its 2019 sales - in line with the multiple implied by PayPal's share price. Based on traditional price-earnings measures, $150 billion implies a price 71 times Ant's 2017 pre-tax profits or 85 times its net profits, assuming a tax rate of 16 per cent - the average paid by Alibaba in recent years. Ant does not disclose actual profits and its pre-tax earnings of 13.2 billion yuan ($2.1 billion) are calculated from disclosures in filings by Alibaba, which is set to become Ant's one-third owner soon. Alibaba itself trades at 43 times last year's profits as does rival Tencent <0700.HK>, home of Alipay rival WeChat Pay. WHAT CHALLENGES DOES ANT FACE? Ant, expected to go public in the next two years, has vowed to reach 2 billion users worldwide in the next decade and it has been investing overseas, buying a stake in Indian payment firm Paytm and Thai financial technology firm Ascend Money, among others. "Ant has taken a very strategic view of international expansion - with highly-targeted investments, joint ventures, and partnerships across the region," said James Lloyd, Asia-Pacific Fintech leader at EY. "While mainland China remains core, I wouldn't underestimate the potential upside of their international endeavors." But it could be China itself that causes Ant problems. While Alipay holds 54 per cent of the country's fast-growing mobile payments market, WeChat Pay holds 38.2 per cent, according to Jefferies. Both are keen to increase their dominance. Beijing also has a history of unexpected rule changes which can derail business plans. Last year regulators suddenly took steps to rein in the online lending market - a key growth engine for Ant - as part of its wider crackdown on easy credit. "These things that Ant is doing are quite innovative and new. They may work this year, but stop working next year, depending on China's regulations," said a Hong Kong-based equity analyst with a Japanese asset manager. "It's hard to analyze their value."